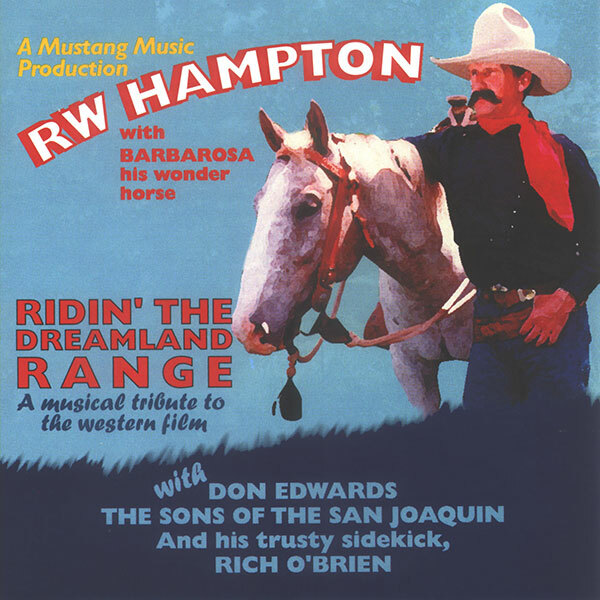 Before all of R.W.’s heroes left us, he teamed up with friends Don Edwards, Rich O’Brien, and The Sons of The San Joaquin to pay tribute to the original singing cowboys like Roy, Gene, Rex Allen, Frankie Laine, Marty Robbins and Tex Ritter. As R.W. said, “If it wasn’t for them, I wouldn’t have had the adventures of boyhood that led me to where I am today.” R.W. created Ridin’ The Dreamland Range for young and old alike. The album features some of the singing cowboys’ greatest songs along with some fine Western movie themes and several catchy Hampton originals. It received the 1997 Academy of Western Artists’ Will Rogers Award for Album of the Year. Order online or by phone at 1-800-392-0822.